Though no one expects to live forever, we should be living longer AND HEALTHIER lives. Living into the 80’s and 90’s would be great if we could function without pain and digestion issues, be independent, enjoyed our years, and remembered who we were. Poor nutrition. Foods grown on nutritionally depleted soils and lacking in vitamins and minerals. Years of farming have stripped the land of nutrients. Farmers are relying on artificial chemicals and fertilizers to replace nutrients, but these products are not safe or healthy. Not enough variety of foods. Hunters and gatherers ate 75 different whole raw foods A DAY. Most people are lucky to eat 3-5 vegetables/ day and they are mostly cooked . Too much processed foods (vs raw food) otherwise referred to as dead foods. This encompasses everything that comes in a bag, box, or can. They are enzymatically dead from the processing methods. 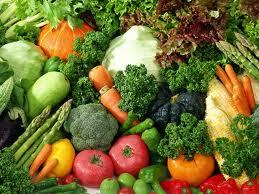 The enzymes that were alive in the raw foods are killed by the heat in processing. Processed foods also contain added sugars and preservatives. P.S. Cooking renders the food enzymatically dead too. Refined sugars (sucrose, glucose, dextrose, fructose, and corn syrup) speed up the aging process, contribute to an increase in cholesterol, and can lead to mineral depletion. The refining process involves petroleum-based products resulting in toxic residues left in the sugars. According to Stephen Cherniske, M.S., author of THE METABOLIC PLAN, the average American consumes about 24 teaspoons of refined sugar per day which equals to over 100 pounds per year. (can we say TOXIC). A 12 oz can of Coca-Cola Classic has the equivalent of 10 teaspoons of sugar. Ouch! Preservatives, pesticides, chemicals in the food, in our drinking and bathing water, and in the air we breath, plus products that are in contact with our skin lead to free radical production or cell damage. Many compounds are artificial and the body doesn’t know how to eliminate it, so it stores it in the fat in the liver, adding to the inability of the liver to adequately do its job, which is to detoxify. Sodas, Caffeine, and Alcohol. These drinks have excessive sugars, are dehydrating, and cause liver damage. Stress! The is a whole blog topic to be addressed by itself. Lack of adequate sleep. 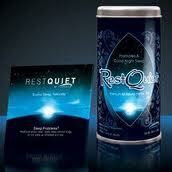 The body repairs when you sleep (cieaura.com/pvmc look at Rest Quiet Chips and Tea). Inadequate sleep leads to adrenal fatigue and a compromised immune system. Lots more on this topic later too. EMF (electromagnetic fields energy) (Cieaura.com/pvmc look at EMF chips) that is emitted from cell phones, computers, all electronics, and many types of lights is a major problems in this age of technology. The bodies natural antioxidant capability is overwhelmed by the massive amount of EMF we are bombarded with daily. EMF SEVERELY weakens the body energetically. It is a wonder that people in hospitals recover, considering the amount of EMF they are bombarded with from all the electronic monitoring devices at a time when they are already immune compromised. Lack of exercise. Another topic that needs its own blog. PUT DOWN THE REMOTE, GET OFF THE COUCH, AND STEP AWAY FROM THE COMPUTER! 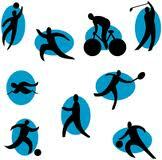 Exercise affects circulation, lymphatic drainage, hormone health, gut motility, mental well-being, and much more. No time to walk? No problem, stand up and gently bounce on your heels for several minutes. The gently bouncing will promote lymphatic drainage and massage your organs. The next series of topics will address what to do about these issues, and how to do it. Restore health, anti aging, booster the immune system, and do it NATURALLY.